The U.S. Youth Soccer Olympic Development Program (ODP) is a national identification and development program for high-level players. The program identifies and develops youth players throughout the country, to represent their state association (OSA), region (South Region) and the United States in soccer competitions. 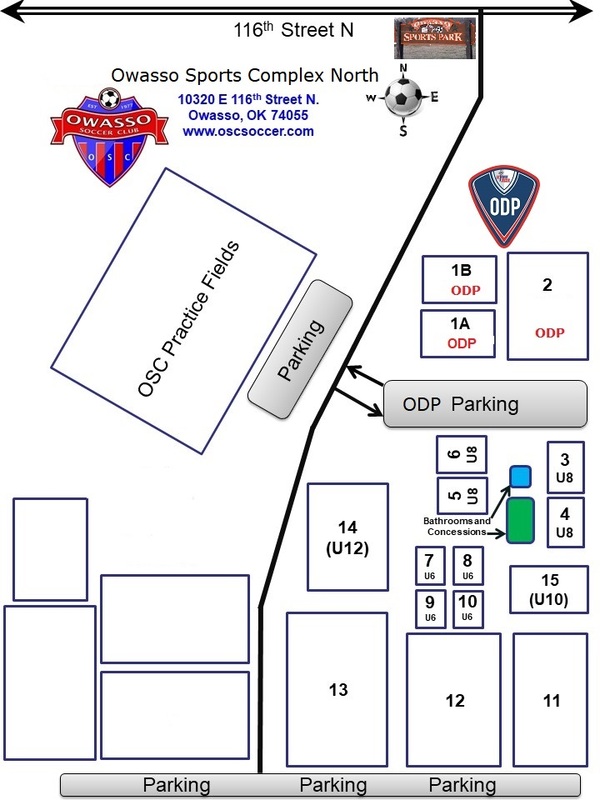 ODP Teams are formed at the Oklahoma Soccer Association and regional level, made up of the best players in various age groups. These will be conducted by the Head Coach or Assistant Coach for the appropriate Pool aged groups. These will be conducted by a group of Senior ODP Staff Coaches, that may or may not involve the same age or gender group coaching staff. There will be PPC’s throughout the season, 1 x PPC on each side of the state. We will be looking to conduct between 2-4 JPC’s throughout the season. These are basically the same at the ODP PPC’s but for U11-U12 Academy and Recreational Players. This is for purely introducing the Grassroots Methodology and getting them familiar with the ODP environment, as there will be no events for these players to attend. We are also looking into some weekend/overnight camps/clinics throughout the season, so please keep checking the website for any updates. Oklahoma Soccer Association (OSA) continues to be committed to the statewide development of our Olympic Development Program (ODP), and the ODP coaches and players, during 2018-19. We will be conducting several ODP Training Centers throughout the state, so we can evaluate and identify our states top level players, that want to challenge themselves and continue to develop and potentially reach Region and National pool/teams levels. We will continue to maintain US Soccer’s National Team system, utilize Player Development Initiative’s (PDI’s) as well as incorporate US Soccer’s new Grassroots Methodology and Philosophy. This will allow us to create a much more “Player Centered” training environment, through reality based training and experiential learning. Our ODP Coaching staff will consist of club, high school and college levels who hold a national license, that are understanding of our Region/South style of play and individual players continued development. David Yates has been a part of the Oklahoma Olympic Development Program since arriving in Oklahoma in 2003. He has been the head coach of many age groups and assisted previous State Directors of Coaching as lead Instructor for ODP Training Centers and Sub Regional & Regional camps. We believe Dave is the perfect coach to lead the charge of our ODP Mission Statement. OSA continues to be committed to the statewide development of our Olympic Development Program, and the ODP coaches and players, during the 2018-19 season. Kenes has dedicated over 20 years to progress the game in Oklahoma, from creating the programs such as Mini-Kickers to Assistant & Head Coach roles in professional arena soccer. Adam also maintains his role in talent identification for Sporting KC (MLS). From staff coach to ODP Director in 2017, Adam understands the ODP landscape from the technical side to the last “i” dotted on the paperwork. “ODP is about people; we must strive to connect and understand while identifying, selecting and empowering individuals to help them unleash their potential,” says Kenes.